One thing that I have found true about the market is that everyday investors are overly obsessed with current multiples. By current multiples, I mean things like the trailing-12-month price-to-earnings multiple, or the trailing-12-month enterprise value-to-EBITDA multiple. A handful of investors seem to take those multiples as a tell all for valuation, and make investment decisions based on these current multiples. That’s flawed thinking, especially in a growth-oriented market. A stock’s present value isn’t derived from its present earnings power, it’s derived from its future earnings power, discounted back at an appropriate rate. Thus, a far more accurate way to judge a stock’s valuation is to use future multiples as opposed to current multiples. In a nutshell, this means projecting a company’s earnings power out a few years, looking at the stock’s multiple relative to those future earnings and comparing that broadly to other stocks and the market. That analysis will give you a far more insightful look into individual stock valuation than a cursory glance at current multiples. I’ve done this analysis for the widely followed FAANNG stocks. Specifically, I’ve gathered consensus analyst data on 2021 EPS estimates for the FAANNG stocks, and have calculated 2021 price-to-earnings multiples for each of them. The results are as follows, from cheapest to most expensive. No surprise here. 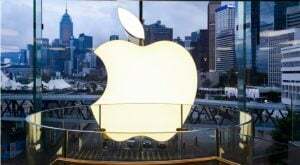 The cheapest FAANG stock on a forward basis is consumer technology giant Apple (NASDAQ:APPL), with a 2021 price-to-earnings multiple of under 14. Although AAPL is the cheapest FAANG stock, it’s also worth mentioning that the stock is relatively expensive on a price-to-earnings/growth (PEG) basis. Earnings are only expected to rise by 7% per year over the next several years. Thus, AAPL stock has a forward PEG ratio of roughly 1.9, which is among the largest PEG ratios in the FAANNG group. Nonetheless, PEG ratios are supposed to rise as the “G” gets smaller, and considering Apple has the smallest “G” in this high-growth group, it is only natural for the stock to have among the highest PEG ratios. Broadly speaking, Apple stock looks good here. The fundamentals are healthy as the hardware business appears stable and the software and services business is ramping. These strong fundamentals should allow for continued healthy profit growth which, coupled with a reasonable valuation, should lead to healthy gains in AAPL stock. 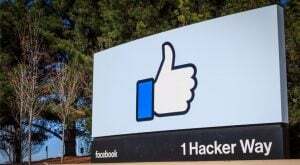 The second-cheapest FAANG stock is social media giant Facebook (NASDAQ:FB), with a 2021 price-to-earnings multiple just south of 17. Also, FB stock has a forward PEG ratio of 1.4. That is the best mark in the FAANNG group outside of the 40%-plus earnings growers, and implies that Facebook stock arguably gives investors the most bang for their buck. To be sure, Facebook’s annualized earnings growth per year between 2018 and 2021 is projected to be just 12%. That’s one of the lowest marks in the FAANNG group. But, a lot of this relatively weak profit growth has to do with near term margin headwinds related to data security investments. As those phase out, profit growth should head higher. Overall, much like AAPL stock, FB stock looks good here. The fundamentals check out, as Facebook has moved past its biggest data security headwind, and is now crafting a new narrative around Stories and commerce. This new narrative will re-invigorate top- and bottom-line growth, and this reinvigorated growth will converge on a relatively discounted multiple to produce outsized returns in FB stock. 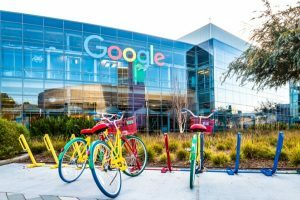 The third-cheapest FAANG stock is digital search and cloud giant Alphabet (NASDAQ:GOOG, NASDAQ:GOOGL), with a 2021 price-to-earnings multiple just north of 19. Alongside this relatively attractive forward multiple, GOOG stock also features one of the more attractive PEG ratios in the FAANNG group. Thanks largely to 13% projected earnings growth between 2018 and 2021, Alphabet has a forward PEG ratio of just 1.5, and that is one of the better PEG multiples in this group, ex the 40%-plus profit growers. When it comes to GOOG stock, there are concerns related to a global digital ad slowdown as well as margin compression issues thanks to a continued consumer engagement shift to mobile. These concerns will persist for the foreseeable future. But Alphabet is also the leader in new growth markets like cloud, smart home, AI, and self driving. Growth in those new markets will offset headwinds in established markets, and ultimately keep revenue and profit growth on an upward trajectory. So long as that remains true, GOOG stock will keep heading higher. 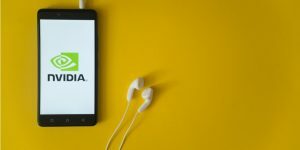 The third-most-expensive FAANG stock is chip-maker Nvidia (NASDAQ:NVDA). Ostensibly, the valuation metrics don’t look good here. The 2021 price-to-earnings multiple is pretty high at nearly 24. Yet, earnings growth between 2018 and 2021 is projected at just 6% per year. That’s the worst mark in the whole FAANNG group. Thus, relative to its FAANNG peers, NVDA stock has an above-average valuation and below-average growth prospects. Ultimately, that’s why this stock has a FAANNG-worst 4.2 forward PEG ratio. But, this analysis lacks scope because it doesn’t look out far enough. Specifically, Nvidia is an AI company, but it’s also a semiconductor company subject to cyclical supply/demand swings in the global semi market. Over the next few years, that market will enter a down cycle which will dilute AI-related tailwinds. That’s why earnings growth is expected to be so weak into 2021. Thereafter, the semi market will adjust and cycle higher. Once it does, it will stop dragging on AI tailwinds. Profit growth will ramp higher. Indeed, in 2021, Nvidia’s profit growth is projected at over 20%. Thus, one shouldn’t turn too bearish on NVDA stock given this analysis. This company is going through a rough patch. But that rough patch will ultimately pass. When it does, long-term growth tailwinds in AI will gain momentum. As they do, profits will roar higher, and so will NVDA stock. 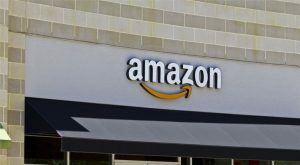 The second-most-expensive FAANNG stock is e-commerce and cloud giant Amazon (NASDAQ:AMZN), with a 2021 price-to-earnings multiple of 33. To be sure, the big 2021 price-to-earnings multiple is warranted by big profit growth heading into 2021. Specifically, profits are expected to grow by over 40% per year between 2018 and 2021. That means that AMZN stock actually has an attractive forward PEG ratio of 0.8, which is the second best in the whole FAANNG group. Thus, while AMZN stock is expensive on a forward basis, it’s also one of the cheaper stocks in this group after you consider growth prospects. The most expensive FAANNG stock on forward basis is Netflix (NASDAQ:NFLX), with a 2021 price-to-earnings multiple of nearly 38. Much like Amazon, though, Netflix’s big forward multiple is warranted by big growth prospects. Specifically, thanks to a currently depressed margin base that has room to move meaningfully higher with scale over the next several years, Netflix is projected as a 50%-plus annualized earnings grower between 2018 and 2021. That level for earnings growth means NFLX stock trades at a FAANG-best 0.7 forward PEG ratio. Thus, after considering the company’s growth prospects, Netflix goes from most expensive FAANNG stock, to least expensive FAANNG stock. The big-picture narrative here corroborates this bullish sentiment. 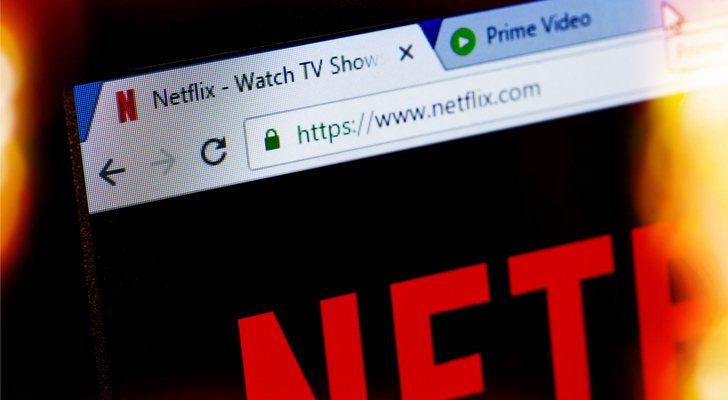 Netflix is the leader in the secular growth streaming video on demand market, and in that market, Netflix has an enduring advantage in content production. Consequently, it is increasingly likely that Netflix continues to dominate this industry for the foreseeable future. If so, revenues and profits should continue to rise by leaps and bounds. As they do, Netflix stock will appropriately grow into its valuation, and remain on a steady uptrend. As of this writing, Luke Lango was long FB, AMZN, NFLX and GOOG. Article printed from InvestorPlace Media, https://investorplace.com/2019/04/faanng-stocks-ranked-from-cheapest-to-most-expensive/.